As the deadline for filing federal income taxes nears, have you thought about how you can cut money, time or frustration in how you file your return? 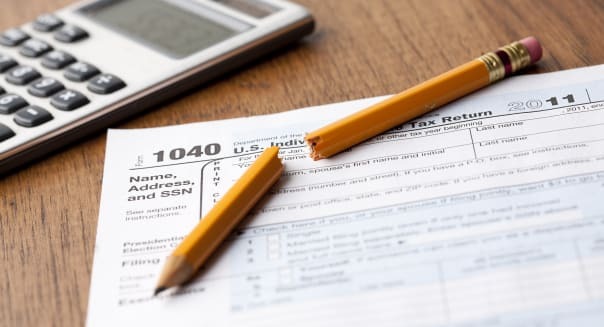 The Internal Revenue Service's Free File allows for a no-cost federal return if your household's 2013 adjusted gross income was $58,000 or less. You can use its online fillable forms or brand-name tax software by selecting a service provider to file listed on the site. Depending on which state you live in, you may need to pay for your state return. Some "e-file partner" companies provide free state returns; check the company's website. Regardless of whether you meet the $58,000 limit, these providers offer many free federal filing options. 1040EZ forms are offered for free preparation and filing by e-Smart Tax and TaxSlayer. %VIRTUAL-article-sponsoredlinks%TaxACT has a variety of IRS tax forms and schedules for free preparation and filing. Basic IRS forms can be prepared and filed for free with TurboTax, which will import W-2 information, so tax filing requires less time to complete. State returns may have a fee to file, and more complex federal forms can bring additional costs. IRS-certified volunteers offer free help for taxpayers who qualify. Volunteer Income Tax Assistance covers electronic filing for those who meet the $52,000 or less threshold. People 60 years old and older can get help with taxes -- and issues related to pension and retirement -- through the Tax Counseling for the Elderly Program. Active duty members of the military can use TaxSlayer's free federal version. Jon Lal is the founder of coupons and cash-back website BeFrugal.com.